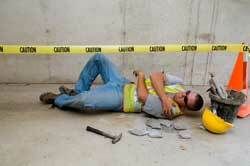 Construction and demolition work is extremely dangerous. Each year, thousands of construction workers are seriously injured or killed at construction sites. In recognition of the dangers involved in construction work, New York has erected several special laws to protect construction workers injured in the construction, demolition, execution, repairing, altering, painting, cleaning or pointing a building or structure. These special laws, known as the “New York Labor Law” require owners, general contractors, and their agents to provide reasonable and adequate protection and safety to construction workers and to provide safe and proper scaffolding, hoists, stays, ladders, slings, hangers, blocks, pulley, braces, irons, ropes, and other appropriate devices needed in the performance of the construction work. After you have suffered a construction accident or any work place injury, it is imperative to seek medical attention right away to determine the extent of your injuries. Although you may feel only mild pain and discomfort immediately following a construction accident, this is often a sign of a more serious underlying condition. Workers injured in construction accidents often sustain injuries to their neck, back, shoulders, knees, as well as head trauma. Dr. Jeff J. Mollins has been providing specialized care and treatment for injured workers for over 25 years. Dr. Mollins will perform a thorough history and an extensive physical examination. Every detail of how the accident happened and the injuries sustained will be accurately determined and documented. He will then place the injured patient on a comprehensive treatment regimen that is specific for each individual. Due to the physical nature of their work, construction & demolition workers have greater difficulty returning to their pre-accident status. Dr. Mollins also works with referred medical specialists (neurologists, radiologists, orthopedists, pain management, physical therapists, psychologists etc.) 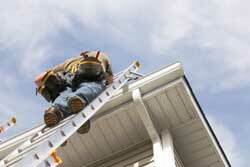 that are also adept at treating patients involved in construction accident. Diagnostic testing, such as general radiology, MRI study, EMG, EEG, and VNG studies are also performed as needed to properly diagnose, treat and document patients involved in construction accidents. Remember, Dr. Mollins and all of his referred medical specialists are certified to treat workers’ compensation patients (people injured on the job) and they are meticulous with all documentation so that every person injured at work will receive proper compensation as expeditiously as possible. If you are hurt at work you can be compensated for your lost wages and receive treatment at no cost. When you return to work, you can still get treated for free, provided you go to a certified workers’ compensation doctor. If you, or someone you know, has suffered injuries as the result of a construction accident, you need a doctor experienced with treating injured construction workers. Dr. Jeff J. Mollins will apply his 25 years of experience in helping injured workers, so you can receive all of the care and treatment you require.